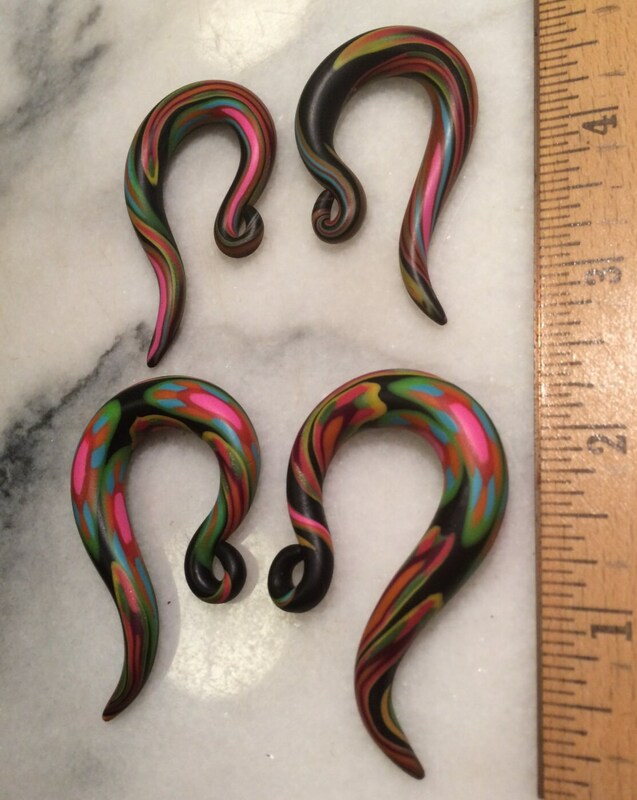 These 2.25" long, elegantly-shaped, black and multi-colored hooks have been carefully hand-formed and then meticulously polished to an attractive shine. 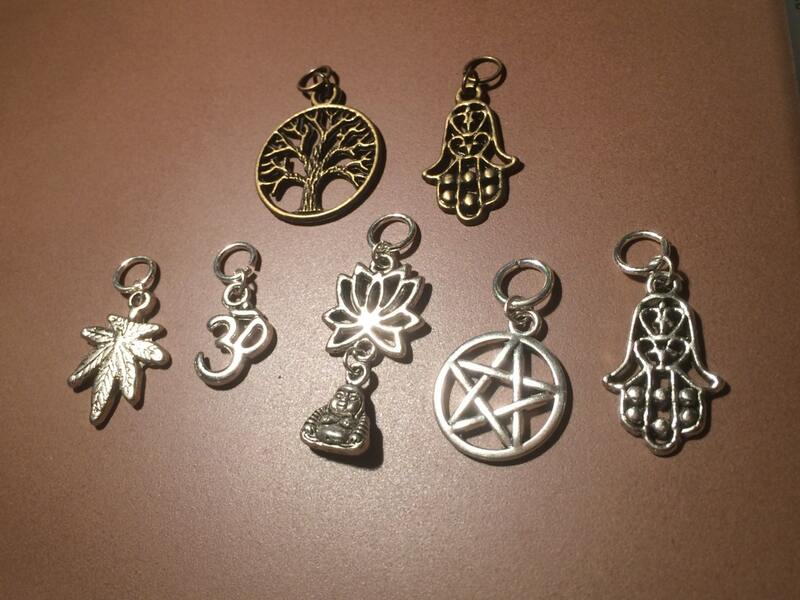 A ring has been added so charms or other dangly earrings can be worn. You can choose a charm from the drop-down menu to be added, or they will be sent with just the metal ring installed so you can add any earring dangles you might have in your collection by simply opening the ring with two pairs of jewelry pliers. 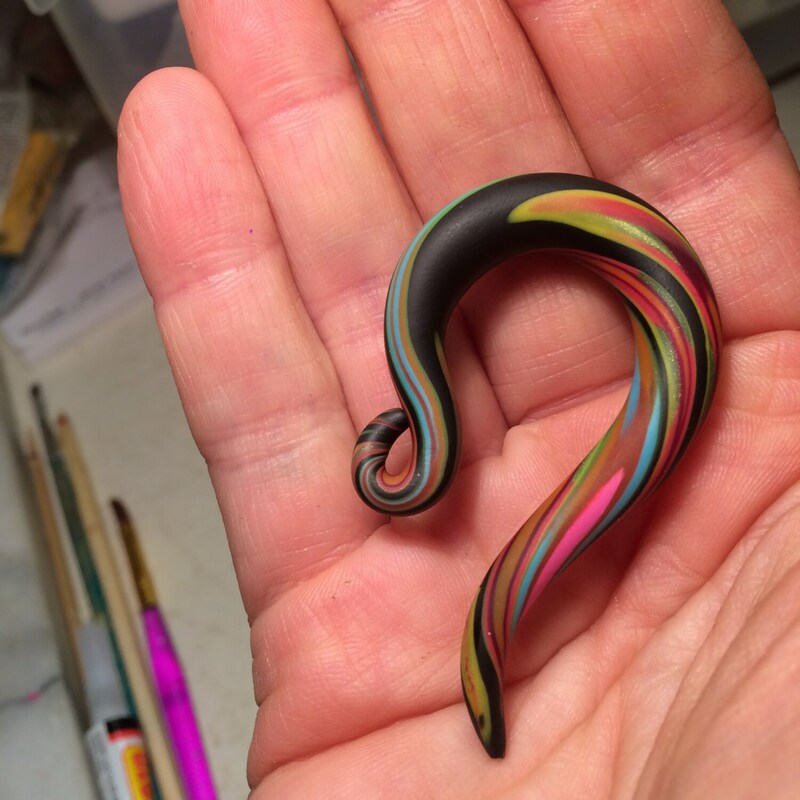 These are available in 00g and 0g, and I can make them in a 2g but not any smaller, as the design is lost on smaller sizes. This particular design is a limited run and is a lot more complicated to create than the simulated wood, ivory and horn styles, so that is why they are more expensive.